No nonsense, straight up, proven strategies! Who & What is Naturol? I’ve been training now for a bit over 30 years. Over those years I’ve seen many fitness fads emerge. Everyone has taken a stab at inventing the latest and greatest fitness contraption, as well as workout. You’ve seen the infomercials, they all claim it’s the next miracle solution to your health and fitness problems. Now, I may be a bit biased since I’ve been lifting weights for over 30 years, but one thing I can attest to is that I’ve never suffered any major injury, that was related to weight training. There may be a number of factors involved as to why I’ve been so fortunate. However, it may also be due to the fact that I’ve always trained progressively. When I first began lifting weights at around 10 years old, I used a very basic workout. One basic exercise per body part, and trained 3 days a week. I probably stuck to that regimen, for a few years, training as dilligenently as possible for a 10 year old, before progressing to the next level of an intermediate workout. At the intermediate level, I’d incorporate a few more exercises into the routine. Typicalling increasing the number of exercises for each large body part to 2 exercises, such as legs, back, chest, and shoulders, while continuing to do 1 exercise for each smaller bodypart, such as biceps, triceps, abs, and Calves. That intermediate routine probably lasted at least another 6 months to a year before progressing to a more advanced routine which would typically consist of 3 exercise for large body parts, and 2 for smaller body parts. Which is pretty much the number of exercises I do in my current routine, 30 years later, unless I’m preparing for a contest. In which case I’d probably add another exercise per bodypart. That’s it though. So why is this progression principle so important, and what does it have to do with cross fit training? It is through the progressive period, whether it’s 6 months, a year, or two years that you learn proper technique, and form, while performing an exercise. Now, I’m not saying that CrossFit is a bad thing, or that everyone doing CrossFit is using incorrect form or technique. I understand that many people who have been lifting weights in the traditional fashion, have crossed over to CrossFit as their workout of choice. If you’ve spent a good year or more weight training, and have grasped the idea of proper form and technique while performing exercises, great! 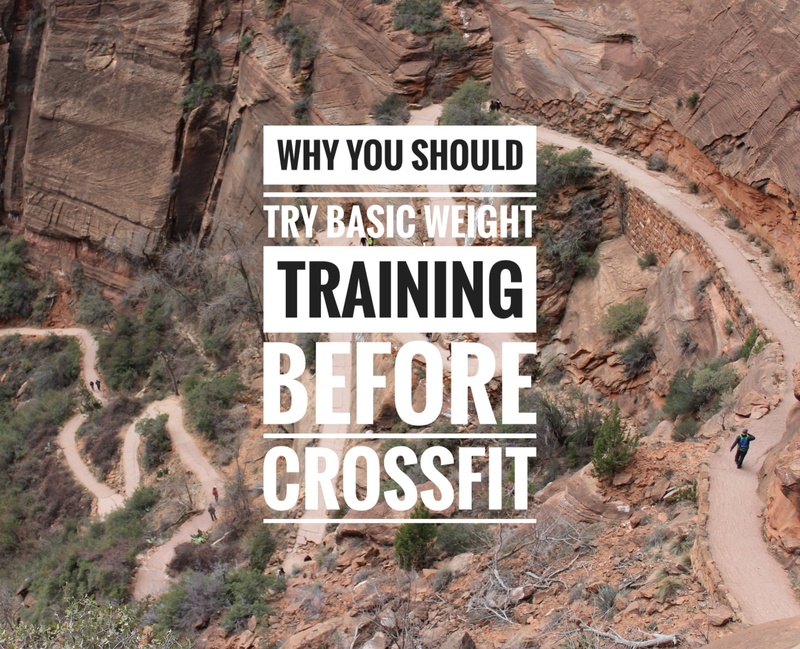 However, if you’re a beginner to weight training, and not yet developed the basic motor skills to complete basic weight lifting exercises, it may be wise to start with a traditional weight training program before progressing, and crossing over to CrossFit. I have a number of personal friends that are Personal Trainers, and many new clients that come to see them, after crossing over from CrossFit to more traditional weight training come in with injuries. After working with the new client for a bit, it becomes apparent very quickly that the client lacked proper form and technique when execuiting an exercise. Again, I’m not saying that CrossFit is a bad thing, or that it causes injuries. All I’m saying is pretty much with many other things in lfe. It’s usually a good idea to master the basics before jumping into something a bit more complex, especially when it involves your body. Get all the latest posts on Natural Bodybuilding, Health & Fitness direct to your inbox.